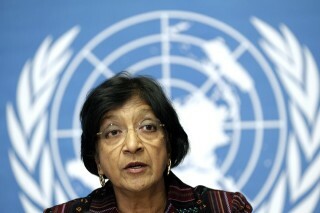 The UN High Commissioner for Human Rights Navi Pillay on Thursday expressed serious concerns over the crackdown on mass demonstrations across Papua since 30 April, with police reportedly using excessive force and arresting people for raising pro-independence flags. Reports indicate that on 30 April police shot and killed two protesters in the city of Sorong who were preparing to mark the 50th anniversary of Papua becoming a part of Indonesia. 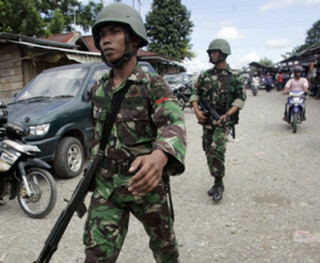 At least 20 protesters were arrested in the cities of Biak and Timika on 1 May. “After my official visit to Indonesia last November, I am disappointed to see violence and abuses continuing in Papua,” Pillay said. She added that there was a need for coherent policies and actions to address the underlying concerns and grievances of the local population in Papua. Since May 2012, we have received 26 reports concerning alleged human rights violations, including 45 killings and cases of torture involving 27 people. While many incidents relate to communal violence, serious allegations of human rights abuses by law enforcement officials persist. “International human rights law requires the Government of Indonesia to conduct thorough, prompt and impartial investigations into the incidents of killings and torture and bring the perpetrators to justice,” said the High Commissioner. As of March 2013, at least 20 political prisoners remain in detention in Papua, including prominent activist Filep Karma. In May 2005, he was sentenced to 15 years in prison for treason after leading a ceremony to raise the West Papuan Flag. In 2011, the UN Working Group on Arbitrary Detention concluded that Mr. Karma’s detention was arbitrary and requested that the Government take all necessary steps to release and compensate him in accordance with the International Covenant on Civil and Political Rights to which Indonesia is party. So far, the Government has not complied with the request. The National Human Rights Commission, Komnas Ham, and the National Commission on Violence against Women, Komnas Perempuan, have consistently raised concerns regarding violence and freedom of expression in Papua and made concrete recommendations to the Government of Indonesia. “I encourage the Government to implement the recommendations made by Komnas Ham and Komnas Perempuan,” the High Commissioner said, emphasizing the vital role these national institutions play in the protection of human rights in Indonesia. Pillay encouraged the Government to continue supporting them as independent bodies and to strengthen their financial support.